We encourage students interested in leadership in family medicine to join the Family Medicine Listserv to stay current on all FMIG activities and leadership opportunities. Students can serve on the student subcommittee of the King Count Academy of Family Physicians (KCAFP) and help to coordinate the KCAFP-FMIG partnership.There are also a variety of opportunities to become leaders on the state level through the Washington Academy of Family Physicians (WAFP). Leadership positions include yearlong positions as a Student Trustee and WAFP Foundation Trustee, or students can represent their peers at the WAFP House of Delegates. When it comes time to apply to a residency in family medicine, involvement in local, regional, and national family medicine organizations and programs will strengthen your application and show commitment to the specialty. 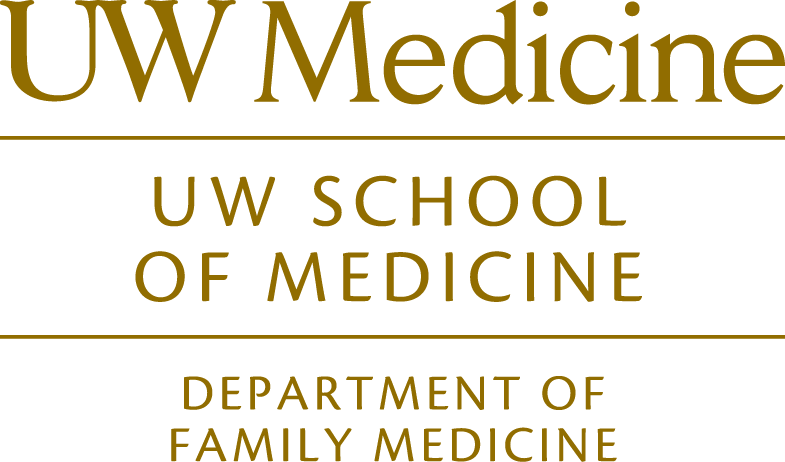 CUSP is a comprehensive approach to diversifying the UWSOM student population and addressing WWAMI’s urban underserved physician workforce shortage through pipeline development and community-based medical school training. The CUSP Scholars engage in a four year, integrated curriculum which offers in depth public health training, clinical experiences in underserved settings. Scholars also grow personally and professionally through mentorship, reflection and service learning. The underserved pathway is one of four pathways (the others are the Indian Health Pathway, Global Health Pathway, and Hispanic Health Pathway) offered by the school of medicine, preparing students to care for vulnerable populations. Benefits of the pathway include clinical and preclinical service-learning experiences, guidance and support from a pathway mentor, opportunities to collaborate with other students interested in underserved populations, a certificate of completion, and recognition in the Medical Student Performance Evaluation (MSPE/Dean’s Letter). FMIG is a medical student led organization that seeks to educate students about the discipline of Family Medicine through educational, social, and service-learning activities. A great way to develop leadership experience in family medicine is through this group. CHAP sponsors student-initiated and directed extracurricular community service projects and educational programs. This is another great way to gain leadership experience and learn about the field of Family Medicine. Your respective state academies offer excellent opportunities for student involvement in leadership, honors/scholarships, and mentoring/networking. See each website for more information about what the academy has to offer. The organizations below offer opportunities for students in research, leadership, andhonors/scholarships.. In addition to these opportunities, there are other benefits and resources available to student members. American Academy of Family Physicians (AAFP) *free student membership!